If you work with metals or plastics, you need PCD—short for polycrystalline diamond—tooling in your business or shop. Accuracy, durability, and dependability are essential for your bottom line and the end results of your creations, and without reliable tools, you’re taking a risk on every project you start. At Byler Industrial Tool, we offer PCD tooling for a variety of purposes, including panel saws, reamers, router bits, cutter heads, and many more applications. And while it’s true that PCD tooling has initial higher costs than many other types of tooling, the returns on investment are often greater, as components last longer, require less refinements, and run at higher speeds. That means greater customer satisfaction and faster and more efficient workflows. Tighter tolerances and cleaner edges – Secondary finishing operations like deburring take time, energy, and money. PCD tooling is more accurate and produces cleaner edge holes than carbide and HSS tooling. That means you can finish more work in less time without worrying about sacrificing accuracy or quality. Longer lifespan and more consistent results – Carbide tools have short lifespans, often lasting only a few days or weeks, even when sharpened. However, PCD tooling is designed to work for months, meaning less downtime. That makes it a no-brainer for both high-yield production facilities and smaller shops, as the initial investment quickly pays for itself via more efficient workflows and fewer parts replacements and sharpenings. High-speed performance – Carbide reamers typically run at around 2,500 rpm. PCD reamers, on the other hand, can run between 8,000 rpm and 12,000 rpm at their peak efficiency and effectiveness. That means jobs are finished faster, allowing you a chance to take on more work and your customers to get their finished products more quickly than with other types of tooling. Material versatility – Previously, PCD tooling and reamers were considered niche equipment due to fewer materials that were suited for them. But changes in manufacturing processes and materials have made PCD tooling useful in a variety of applications, including some aluminum parts and metal-matrix composites. Abrasive plastics are also ideal for PCD tooling. Greater applications in the future – PCD tooling is the future for many businesses and hobbyists who work with metals and plastics. Because its more effective with a wide variety of materials that are being used more and more frequently in a variety of industries, costs and delivery times are being reduced every year, making it more and more feasible for metal and plastic workers with a variety of budgets and needs to utilize this powerful asset. Want to Equip Your Business or Shop with PCD Tooling? Call Us Today. 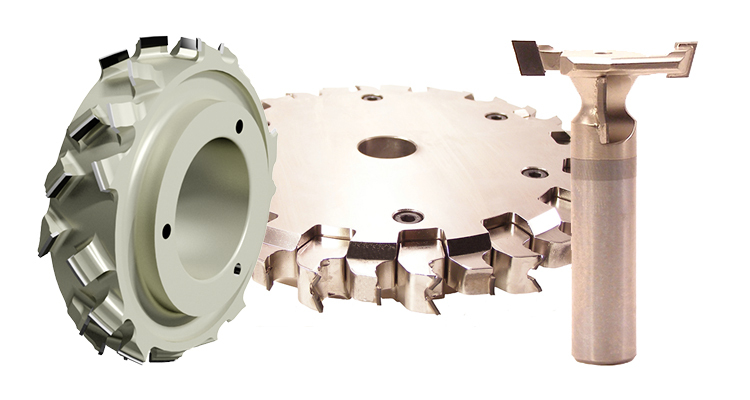 Byler Industrial Tool is your one-stop shop for PCD tooling. And if you have any questions about its uses and applications and how it can benefit you and your business, our sales representatives are here to help. Call us today at (615) 763-6227 or submit our online contact form to place an order or get the information you need to make the right decision.